Construction law and commercial litigation are Jim Washburn’s focus. 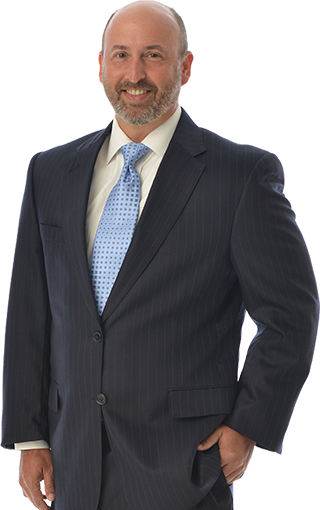 A Florida Bar Board Certified Construction Law Attorney, Jim handles all types of construction law and commercial litigation issues, including complex construction matters, contract drafting and negotiation, schedule-driven claims, bid protests, contract terminations, design and construction deficiencies, licensing issues, and lien and bond disputes. Practicing more than 18 years, Jim represents public and private owners, design professionals, general contractors, sureties, and subcontractors. Prior to attending law school, he worked for his family’s underground utility subcontracting company. This first-hand experience gives Jim an insider’s perspective on the construction bid process, cost impacts of schedule disruption and differing site conditions, and other pit-falls common in the construction industry. As a frequent speaker and author, he has published articles on Florida’s Construction Lien Law, standard construction contract provisions, and updates in Florida law affecting the construction industry. Jim obtained both his B.A. degree in English and law degree from the University of Florida. He grew up in Central Florida and attended Bishop Moore and Lake Mary High Schools. Admitted to bar, 1998, Florida; U.S. District Court, Middle District of Florida. University of Florida, B.A., English, 1993; J.D., 1997. Legal Elite, Florida Trend Magazine, 2016; Rising Star, Florida Super Lawyers Magazine, 2012; Service Above Self Award, Rotary Club of Altamonte Springs, 2012-2013, 2017-2018; Paul Harris Fellow.